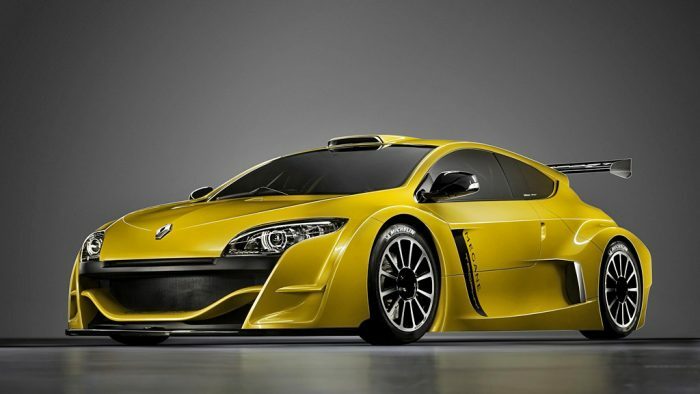 Having starred in the World Series by Renault’s premier saloon car championship since the creation of the WSR in 2005, Mégane Trophy has undergone a raft of radical modifications in readiness for the 2009 campaign. 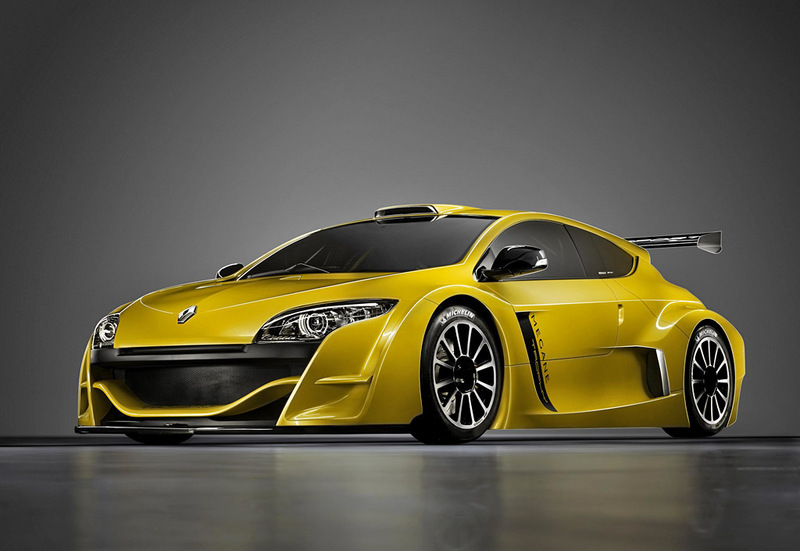 The most visible change concerns its new body design which takes its inspiration from the lines of New Mégane Coupe. Under the bonnet, a fresh look has also been taken at the Renault-Nissan Alliance’s V6 3.5 24V powerplant which now delivers 360hp. 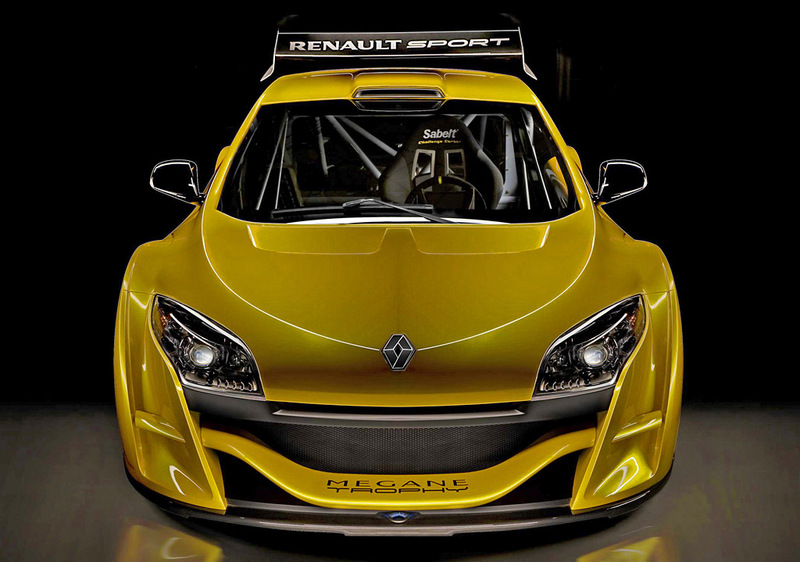 At the same time, Renault Sport Technologies has carried over many of the acclaimed features of the current Mégane Trophy to produce a reliable, competitive and affordable racing car. There can be no mistaking New Mégane Trophy’s resolutely sporty calling and pedigree thanks its stunning looks which are based on the design of New Mégane Coupe. – Rear downforce is generated by the diffuser and wing. Refinements to the set-up have produced a 20% improvement in downforce and a 15% reduction in drag which, together, represent a gain of almost 40% in terms of the new car’s aerodynamic performance over the previous generation machine. 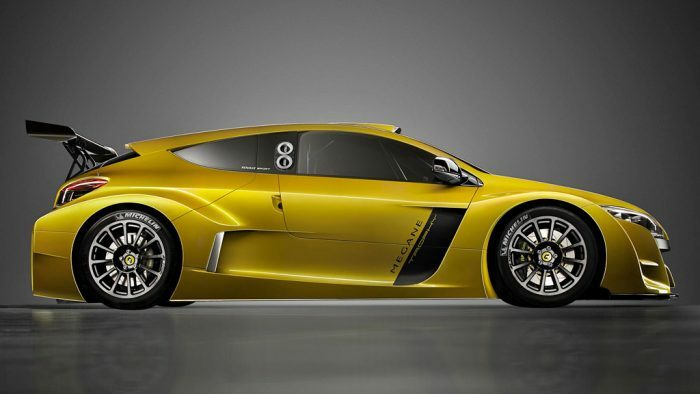 adjustable dampers, 18-inch wheels and Michelin tyres, etc. A new inlet manifold, which is fed by roof-mounted air-ducts, has taken engine power from 330 to 360hp. year in the form of a kit that will enable existing cars to be upgraded. 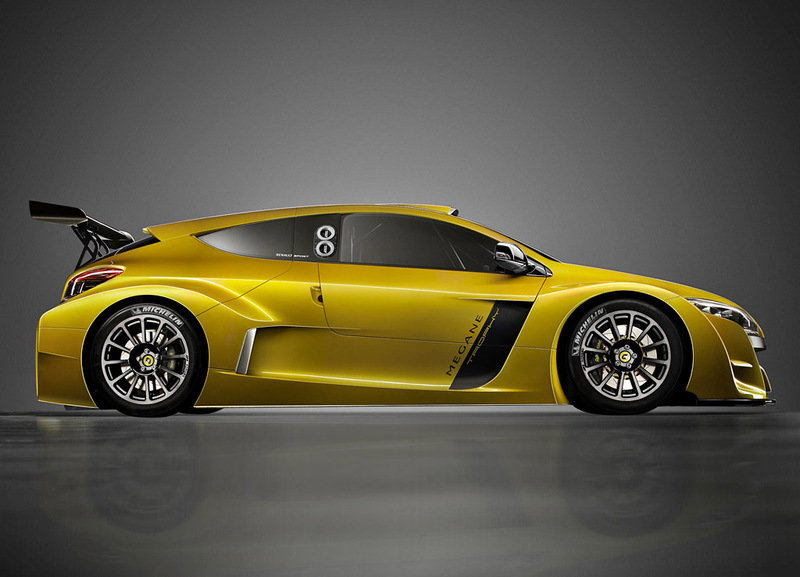 The modifications required to adapt the chassis to the new bodywork will be carried out by the Alpine factory in Dieppe.